There was a lot of great advice on offer at Marketing Festival 2019, so we thought we’d share all of the juiciest bits with you. Enjoy! If there was one piece of advice which really stuck out during the festival, it was ‘check your data’ which came from the founder of Seer International Wil Reynolds. It’s advice which was also later echoed by marketing professor Mark Ritson, and it’s hard to fault, but it’s also so obvious that a lot of people fail to do it. Many of us now live in a bubble, in which we’d rather go online to get information which suits our purposes than actually face the reality which surrounds us. It’s the equivalent of Googling the current weather in your area, instead of looking out of the window, but it’s something which we are all guilty of. And while the person who posted it may be easy to laugh at, it illustrates a crucial point in marketing, and that is that it’s difficult to accept the truth if it goes against your previous convictions. As a result, we tend to follow the same path and, instead of changing our minds, we search for people with similar views in the hopes that they can justify our denial. Why? Because it makes our lives easier in the short term. However, as you’ll see later when we look at Dan Ariely’s findings, such thinking rarely ever helps us in the long run. The key point Wil Reynolds made was that, when you want to know what’s best for your business and to know how you should strategize for the future, then ‘check your data’ before you get swept away by headlines. Even though all of the publications you love and trust are telling you that the latest piece of tech is the next big thing, doesn’t mean you should suddenly devote all of your time and attention to it. For publications, causing a stir is their strategy, and sensationalising technology does just that. However, while major publications know they can get a lot of attention by promoting gadgets, it doesn’t mean your company will. Woah! Slow down their Timmy, what’s that you say? You threw all of your money down the well? But why? Because someone on the internet told you to? Well Timmy, maybe next time you should let others throw their money down the well first and see what happens! It’s always going to be tempting to jump onto the latest bandwagon, especially when it’s surrounded by media hype, but when it comes to marketing, it’s rarely ever a good idea to invest in the technology itself, especially in the early days. If something works well, then it will work long, and there’ll be plenty of time to try it later. For example, the majority of people search using Google, that isn’t going to change overnight. But if a company came along tomorrow and said they were the next Google, would you all of a sudden gamble 50% of your budget on getting there first, even though you can see that Google still has control of 99.9% of the market in your GEOs? Hopefully not! That’s why you should always try to focus on what is working for you, and the only way to do that is to ‘check your data’. 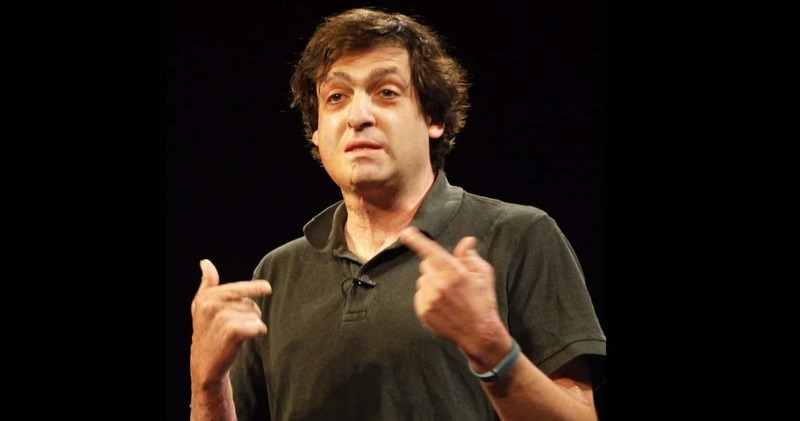 Dan Ariely is one of the world’s leading voices on psychology, and behavioral economics and every single one of his lectures offers profound insight into how people think and behave. One of the key takeaways from his lecture here in Prague was that people like to be challenged, but not necessarily as you may think. You are in a car park and only have $1, but you need 25¢. You ask someone if they can change it and they say that will, but they will only give you 25¢ for your $1 and no more. You are in a car park and only have $1, but you need 25¢. You ask someone if they can change it, but they tell you that they haven’t got any change. However, they offer to walk three blocks to the bank, change it and then come back, which will take about 20 minutes. In return, you can give them the $1 and they will give you 25¢, keeping 75¢ for their effort. As Dan Ariely pointed out, most people would choose the second option, despite the fact that it’s a worse option on almost every level. This is because something tells us that the exchange is worth it because the other person is now working for our money, even though in the first one we would have actually been much better off. According to Ariely, when it comes to paying, we have certain pain points. The further away we can get ourselves from the final payment the better. For example, it’s much more painful to pay cash at the point of sale than it is to use a card. This is because we see our money disappear before our eyes. Ariely used the example of eating a meal. In a typical scenario, you will eat your meal at a restaurant and pay afterwards. If you pay by card, emotionally it will be easier than paying cash. However, now imagine that you pay for 25¢ after each bite. Even though you technically have much more choice over how much you spend, the meal will be much less enjoyable. What’s more, most people will try to cram huge mouthfuls in a single bite, reducing the pleasure of eating even further. But why? So that they can reduce the pain caused by payment. If you’re a marketer, understanding how pain at the point of payment works, you can aim to reduce it as much as possible so the benefits of buying outweigh the pain of payment. In a nutshell, you need to ensure that your customers feel that they are getting value for money and that the cost of the transaction doesn’t overshadow the pursuit of pleasure. This is possible through structures of delayed payment options, credit limits and increased payment options such as credit/debit card. In affiliate marketing, most people like to play the short game. That means generating quick campaigns that sell, without worrying about long-term trust. This is one of the key reasons why affiliates don’t feel that a lot of the advice given by award-winning marketers applies to them. However, even if you are not pushing to establish a global brand and customer loyalty, there’s still a lot that can be learned from major advertising agents. According to Mark Ritson, global campaign strategies rely on a mixture of short and long-term marketing. The global brand awareness to gain attention and build loyalty relies on a long-term; however, this shouldn’t overshadow the fact that they also rely on Facebook campaigns and customer engagement. What’s more, in their attempts to get people interested in their products and produce quick sales, they have harnessed some very useful skills. Marketing hasn’t changed, even though it might look like it. Just because you might be working with Facebook algorithms doesn’t mean that the people on the other end of those algorithms think any differently to consumers 50 years ago. However, with all the ‘big data’ now available at our fingertips, it’s very easy to get swept away and assume that you can play God. In reality, all Facebook is really doing is allowing you to target more precisely…or is it? Before the internet era, the best way of advertising was in print. In fact, magazines have been printing adverts for over 300 years. 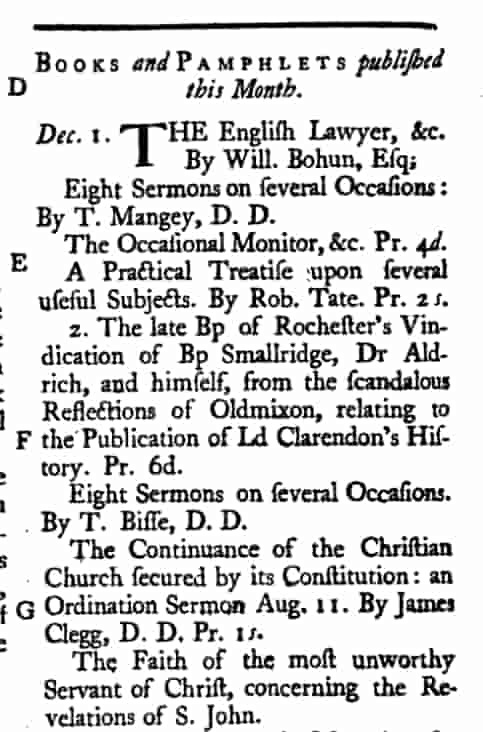 Here’s an example of early 18th-century advertising from the 1st volume of the 1731 edition of ‘The Gentleman’s Journal’. In fact, if we go back just a little further to around 79 AD, we’ll see that even then people were advertising. The graffiti above is still on the walls in Pompeii and was used to promote political campaigns. Sound familiar? 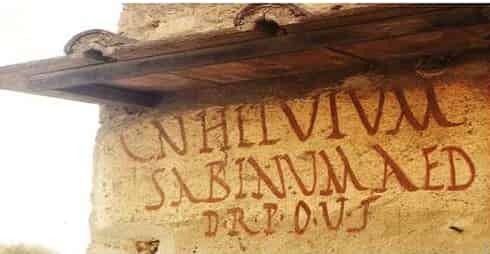 In case you’re wondering, it says ‘I beg you to elect Councillor Helvius Sabinus Aedile, who is worthy of public office.’ What’s perhaps more interesting though is that they were daubed onto the sides of wealthy people’s houses. Wealthy housing only provided 30% of the advertising space in the city and permission would have been needed to use it. Therefore, these early ads also represent one of the very first forms of celebrity endorsement. Actual footage of Cn. 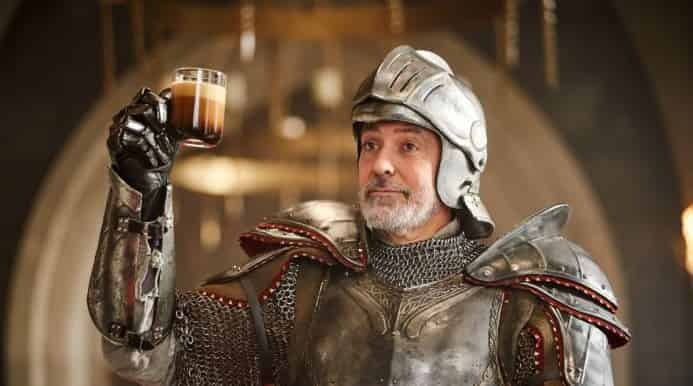 Helivius Sabinus Aedile enjoying a coffee after being elected to office. Sure, this advertising may look a little crude by modern standards, but they go to highlight that the same principles applied in the ancient world are still being used today. Were ads planned and targeted at their audiences? Yes, because they were using influence and interest, just like Facebook allows you to do. The only things that have really changed in marketing over the past bazillion years are our ability to target people anywhere in the world from the comfort of our own homes and the ability to gain more and more data about who buys our products. However, the key principles are still the same. Find the people who will/can buy and convince them to buy. All of a sudden, it’s easy to see how the work affiliates do is directly related to the work of major brands. The only difference is whether or not you want people to recognise you in the street. As we’ve already said, most affiliates don’t care about branding, but that doesn’t mean that there aren’t some who do. Spend 5 minutes on Youtube, and you’ll find plenty who do. However, once you can see past big company attempts at generating brand loyalty and see that they too are just trying to market their products to specific people, then you’ll notice that the reality is that there is not a lot of difference between mainstream and affiliate marketing. In fact, it’s all just the Funnel. Affiliates try to get people from one part of the internet to another where they can make a sale. Whereas global companies often try to raise awareness of their brand so that when people end up with their product in front of them, they’ll be more inclined to buy. Both need to appeal to the customer and both need to ensure that their message resonates enough that it drives the customer to eventually have enough trust in the product to buy it. In other words, marketing, regardless of type, is about influence. If you rely purely on algorithms in the hopes of influencing people, then you will not succeed. It’s not enough to think ‘I have burgers, so I’ll find people who like burgers and show them my burgers!’. Why? Because if they like burgers then the chances are they’ve already tried a few and know which ones they like. So, how are you going to change their minds? It’s not easy, but this is where the skill comes in. In the example above it would be worth finding out why people like the burgers they choose and why they don’t and then seeing whether or not your product offers a compromise that people will be drawn to. For example, are they cheaper, healthier, more convenient, faster to prepare, traditional etc.? Once you know that you’ll know more about your unique selling point (USP) and be able to target campaigns more accurately. You can begin to use certain colours, images, logos etc, which feed into your USP and you can better cherry pick the consumers who value your USP over another. Once you learn how to do that, then you’ll find that you start to have a lot more success. Which brings us to how to ensure that you know what your purpose is and you know how to explain it. This goes back to the earlier point made by Wil Reynolds about checking your data. There should be nothing you do that is without purpose and the same goes for your writing. In his appropriately titled speech, “Content” is the Worst Word the Marketing Industry Ever Invented, Samuel Scott highlighted the importance of not using the term content. Why? Because it makes people lazy! And it’s true. The term content is now used to lump all creative pursuits under one banner and by doing that, it’s easy to forget why you bothered writing in the first place. I’ve said it before, and I’m going to try not to from now on, that ‘content is king!’ and I’ll admit, that until now, I’d never really given it a second thought. It just made sense. However, in reality, it’s the content of your content which is king! As Samuel Scott noted, content is too much of an umbrella term and can be used for anything and everything. No-one ever visited the Sistine Chapel, looked at Michelangelo’s work and thought, “Wow! What great content!”. The word content means ‘something which is contained within something else’, and if you boil everything down to a single term like this, whether it be options on a menu to the final, physical food on your plate, then the world will be much more grey. Also, when explaining your ideas to others, the reception will never be as clear. And as writers, we want to be clear! If you think this is splitting hairs then consider this: The word ‘words’ is far more specific to writing and when we say content, at least in marketing, that’s usually what we mean. However, imagine using ‘words’ in the same way you use ‘content’. As you can see, the term ‘words’ is instantly devoid of meaning, just like the term content. The only difference is that we have become so used to it that we don’t even notice. Precision is important. If you need a blog post that is persuasive and informative to help you boost sales of your sportswear, then say so. Similarly, if you’re not sure how you can persuade readers of your website about why they should trust your company, then you’ll need to ask for some informative copy which will explain what your company does, why they do it and why you can trust them. Sure, it’s all contained on your site, but it really is much more than just content. By being precise, you can better understand what to expect from your business. You’ll stop being a producer of ‘content’ and become an expert with a vision and a strategy and having a clear strategy is what sorts the men from the boys. 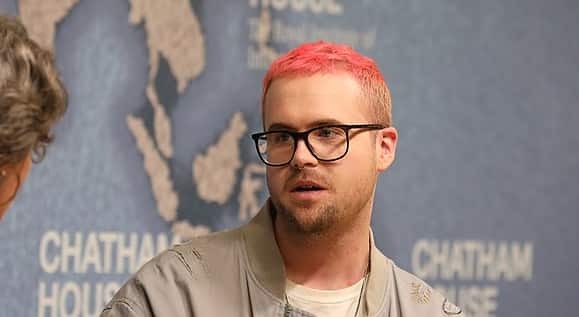 Also speaking at Marketing Festival 2019 was Christopher Wylie, the data analyst who famously blew the whistle on Cambridge Analytica and Stephen Hamel, digital consultant, who both warned of the dangers of having access to massive amounts of private data. Christopher Wylie went into extensive detail about how Cambridge Analytica came into being and its purpose, however, there was one tactic which took things to the next level. According to Wylie, Cambridge Analytica’s purpose was to see if they could influence people’s political choices, but in order to change politics, first they needed to change people, and then culture. But how do you change enough people’s mindsets so that you have a meaningful impact culture? One of the tactics, Wylie says, is to target people, using Facebook’s algorithms and target the most vulnerable to certain beliefs. 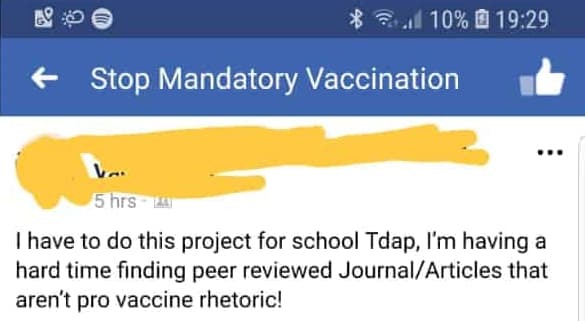 Let’s take anti-vaxxers for example. The next step would be to show those people more and more ‘evidence’ that they are right and pro-vaxxers are wrong. The next step is to funnel the primed targets into groups. Once people are collected into groups in certain areas, meetups can then be arranged. This is where things get a little more psychological. According to Wylie, meetups would be arranged at small local venues, where 20-30 people could then gather. The reason for choosing small venues is that, once 20-30 flood in, it becomes crowded, making it look as though there are far more people there than there really are. This then encourages the people within the group to form an echo chamber, and solidify their views by thinking more people support their worldview than really do. It’s an interesting tactic and echoes Orwellian visions state control and how they can play out on Facebook. However, it’s also important to note that there has never been any evidence into the impact of such tactics and whether or not they were able to make a real difference in the election results. But it does go to show how far some people will go to get people to change their minds. As marketers, we want people to change their minds, and will arguably attempt to use any tools at our disposal to do so. As Stephen Hamel pointed out, if someone offered us the data of millions of people worldwide, would we turn it down? Probably not and it seems to be a prevailing argument that it’s very easy to detach ‘big data’ from morality. Hamel noted that a lot of marketers use AdBlock to stop people getting their data and the chances are, if you are reading this, that you have an AdBlock installed. There’s also a good chance that you would be keen on getting hold of the data of others. Therefore, we are unwilling to give up something which we are so willing to take. So, do we have a responsibility to be moral? I can’t really answer that other than to say yes! Of course, but that really depends on whether or not you want to be successful and how you want to gain that success. If we go back to the tactic used by Cambridge Analytica, would it be such a bad thing if Starbucks offered a local Starbuck’s Facebook fan page the chance to go to a local branch for a free coffee and discuss why they love the company? Not really right? The moral issue really depends on how you use the data you have and the ends to which you choose to use it. How different is the example of Starbuck’s promoting its brand to Cambridge Analytica promoting people’s political viewpoints? Not very. However, there is a reason why these tactics, while they might sound scary, are not as efficient as the people using them might wish and that is, choice. While choice exists in the marketplace, people will make different decisions. Which is why no company has complete market dominance. Not even Google and Facebook.